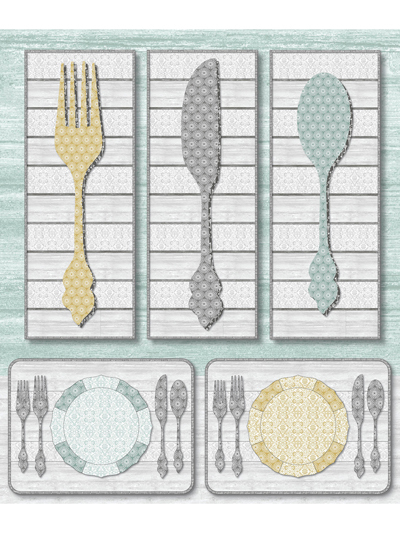 Decorate your kitchen with 3 fun wall hangings and teach the little ones how to set the table with these place mats! 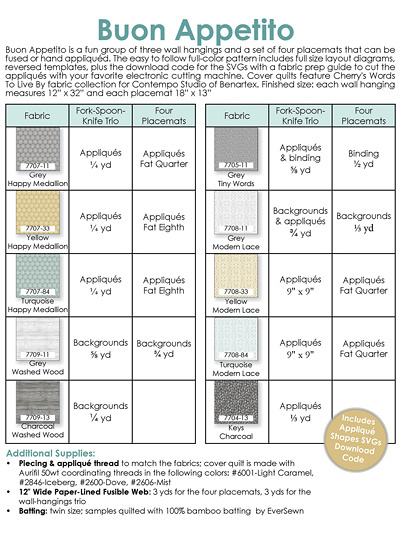 Use your preferred method of applique for each design. Finished size: each wall hanging 12" x 32"; place mats 18" x 13".